Paraguayan President Horacio Cartes is seen by many as a stalwart neoliberal and his failure to reach an agreement with opposition parties led to the March general strike. The strike was the country’s first general strike in 20 years, and only the third in Paraguay’s history. On April 22 2013, Horacio Cartes’ victory in the Paraguayan presidential elections marked the return of the right-wing Colorado Party to power—a position it held for 61 years before left-wing former Catholic bishop Fernando Lugo won office in 2008. Cartes – a political novice who had never even voted in presidential elections before running for the office and who faced accusations that his wealth was acquired by money laundering, cigarette smuggling and drug trafficking – ran on a platform promising “a new path” and economic prosperity to all. During his swearing-in ceremony on Aug. 15, 2013 Cartes vowed to battle poverty and corruption in one of the most unequal and corrupt nations in South America. “I’m not in politics to make a career of it or become wealthier,” said Cartes. The new president promised to strengthen Paraguay’s international ties and its commitment to human rights. But economic and social progress has been slow to arrive, highlighting the challenges Cartes still needs to overcome if he is serious about setting Paraguay on a new path. Cartes’ first year has been marked by the challenges associated with governing a small but complex country with major social problems. Cartes’ alleged experience in starting, growing, and managing businesses has not proven to be enough when it comes to the public sector, falling short in a country where urgent and dire needs compete for limited resources forcing frequent difficult choices and trade-offs. On the political level, Cartes’ authority has been challenged by his own party. Some sections of the Colorado Party have expressed their dissatisfaction with his management style, demanding more power and participation in the administration. According to local sources, the Colorados were upset by the appointment of technocrats to different ministries and agencies of the government since these posts are typically seen as political plums given to campaign allies. The appointments caused discontent in the Republican caucus and affected relations between the president and Congress. After being elected, one of Cartes’ biggest challenges was to demonstrate who was stronger and more powerful: Cartes or the Colorado Party. It seems Cartes has been reminded that he is in his current position thanks to the party and not the other way around. Cartes is seen by many as a stalwart neoliberal and his failure to reach an agreement with opposition parties led to the March general strike. The strike was the country’s first general strike in 20 years, and only the third in Paraguay’s history. It was also the first major demonstration against the government. Workers, peasants, teacher unions, and students protested the president’s economic policies. Foremost among their complaints was the recently approved public-private partnership law that enables private companies to invest in government infrastructure in exchange for owning concessions and charging fees, which many protestors see as privatization in disguise. The protesting organizations requested a broader and better social welfare system, including a 25% rise in minimum salaries, the cessation of ongoing violence against peasants, long awaited agrarian reform, and respect for trade union rights. Although Cartes tried to stop the strike by raising minimum wages by 10%, the move failed to the address the general discontent of a population eager to see an improvement in its standard of living. A deteriorating security situation and inaction from the government have fostered a sense of exasperation in the population. Many Paraguayans are tired of living with a constant sense of insecurity. 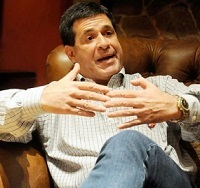 A vote in parliament gave Cartes new powers and allowed him to deploy the military against the Ejercito del Pueblo Paraguayo (EPP)–an insurgency guerrilla movement. Attacks have risen and become increasingly violent. On April 2, the EPP abducted 16-year old Arlan Fick, the son of a Brazilian ranch owner, from the village of Paso Tuyá, Concepción, following a clash between the EPP and the Joint Task Force (FTC)–a team of police officers and soldiers created to combat the group. The longest kidnapping case in Paraguayan history – it recently reached the 100-day mark – has led to street demonstrations in several of the country’s regions. On July 4, members of the EPP blew up an electricity tower in the north of the country, which affected thousands of people and caused losses worth over a million dollars. The group later kidnapped another police officer the following day. Rising levels of urban insecurity have also become grave concerns for the population, which has led to the demand for the resignation of Minister of the Interior, Francisco Jose de Vargas, and immediate actions to alleviate the situation. On the international front, while the Cartes administration has re-established relations with the region, its efforts have been tainted by investigative reports conducted by Brazil’s Gazeta do Povo and?Colombia’s El Tiempo accusing the President’s businesses of large scale cigarette smuggling across Latin America. According to the reports, this serves criminal organizations and guerrillas for money laundering purposes. Cartes first year in government has been marked by challenges and a growing discontent in the overall population. A public poll conducted by Gabinete de Estudios de Opinión (GEO) in February asked what had been the best government in the past 25 years of democracy. Results showed that ousted president Lugo was voted the best government with 42.8% approval while Cartes’ approval, despite only being in government for less than a year and winning the election by a near majority, was only 5%. Cartes has also had to come to terms, the hard way, with the fact that managing a company is different from governing a country. 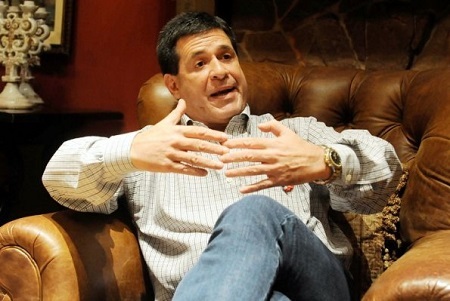 As Benjamin Fernandez Bogado, one of Paraguay’s leading political analyst, highlights, “Cartes usually uses the expression, ‘everything is going very slow, we need to do it faster.’ This showcases his lack of experience in the public sector. It is not the same to run a firm with a criteria for efficiency than to manage a state, with significant problems in terms of legislation and regulation, with effectiveness.” Cartes’ policies have been met with sharp resistance and his vision of the ‘new path’ has been contested by those who feel that his policies will only benefit the traditional elites and not the population at large. ‘El nuevo rumbo’ promised by Cartes seems to be slipping through his fingers. It has yet to be seen if he will be able to deliver it before his term is over.